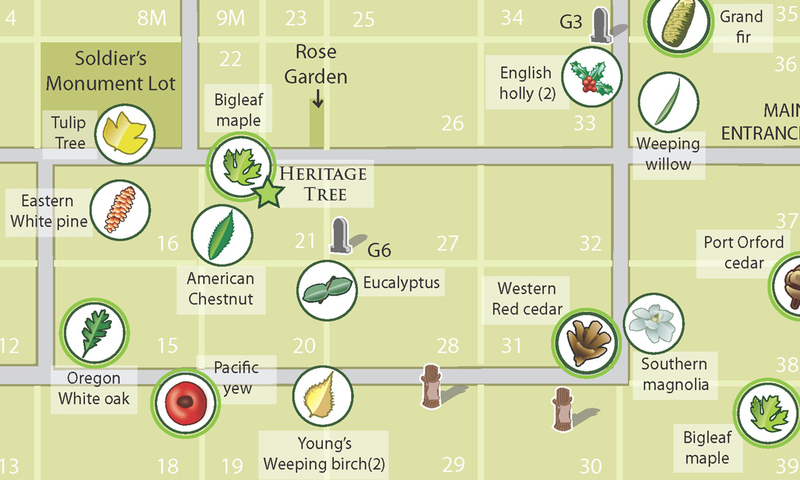 Project: The Cartesian Collective has been involved in a volunteer project to create high-quality tree identification maps for several parks in Portland Oregon. 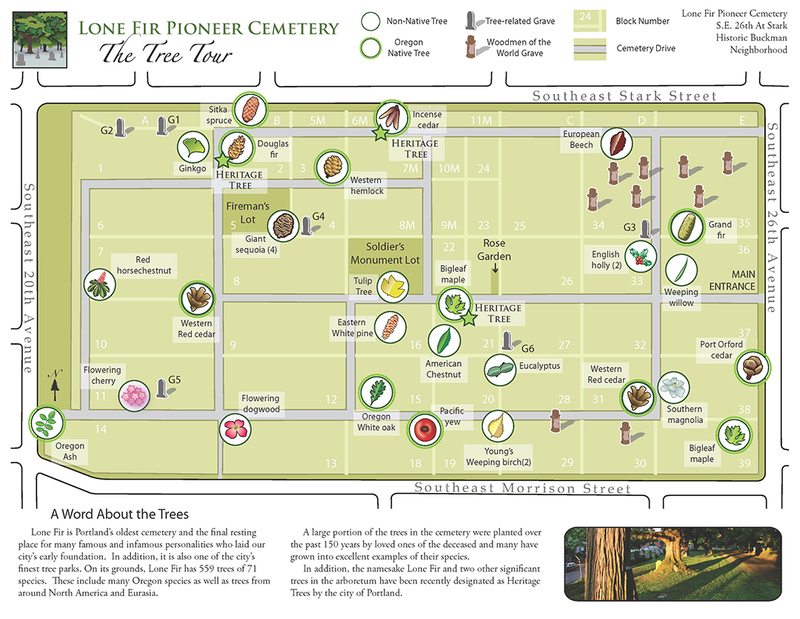 The original tree identification map (of Laurelhurst Park) was created by Cartesian Collective members Jon Franczyk and David Banis at Portland State University and spun off into maps of Couch Park in NW Portland and the two maps below of Lone Fir Pioneer Cemetery in SE Portland. The Cartesian Collective collaborated with local botanist, author, and historian Phyllis Reynolds to identify the myriad of tree species in the parks. They also worked with Portland State University, Portland General Electric, Portland Parks Bureau, Friends of Laurelhurst Park, Friends of Lone Fir Cemetery, and Metro to produce, print, and promote the maps. 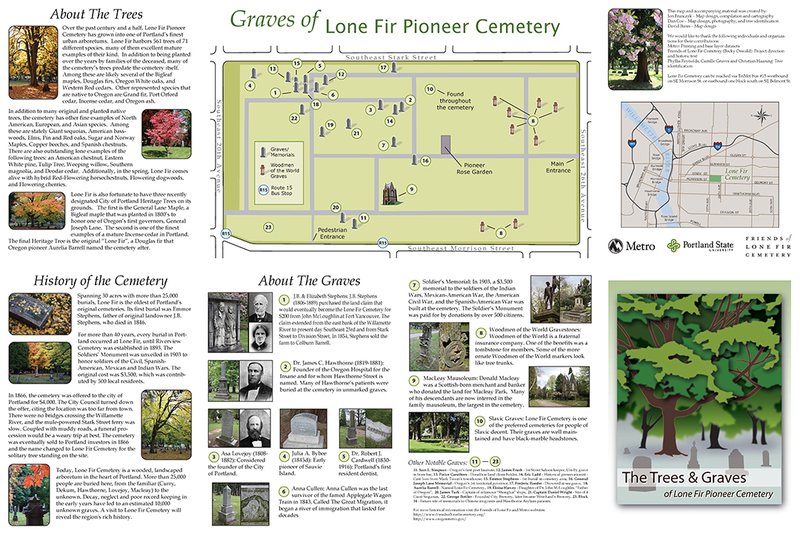 Side A of “The Tree Tour”, a tree themed walking tour brochure of Lone Fir Pioneer Cemetery with custom illustrations and photography enhancing the map. 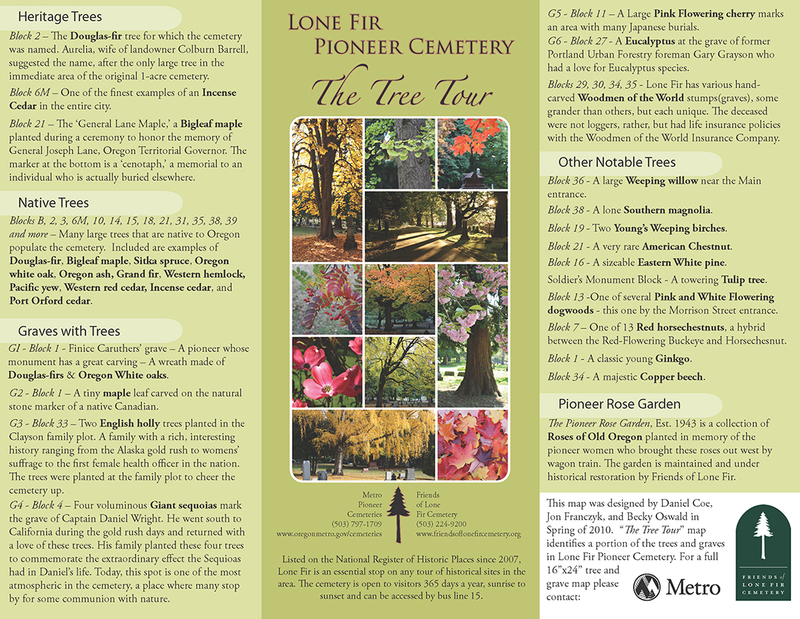 Side B of “The Tree Tour” brochure of Lone Fir Pioneer Cemetery with additional information on the trees of the cemetery. 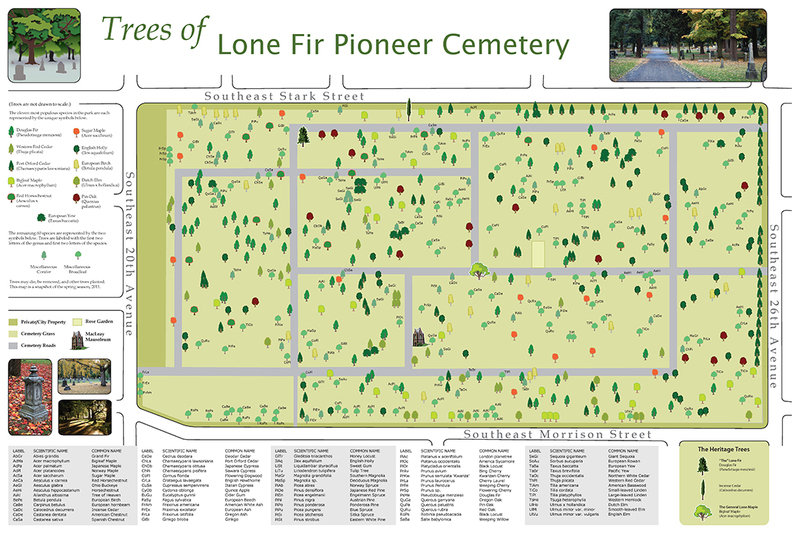 Side A of the “Trees of Lone Fir Pioneer Cemetery” showing all 559 trees of 71 different species in the cemetery. Side B of “Trees of Lone Fir Pioneer Cemetery” with additional information on the trees of the cemetery as well as historical information including the locations of prominent “residents” of the cemetery. For additional tree maps go to cartocollective.com.